Sonos speakers are certainly not cheap, but those who weren’t afraid to pull the trigger and outfit their home with the wireless speakers are being rewarded for their loyalty by being threatened…do what we say or else. On August 17, an email arrived from Sonos announcing, “We’re updating our privacy statement.” The company knows if you opened the email due to the embedded pixel it uses to tell if you viewed it. It contains a link to Sonos' updated privacy statement, as well as a blog post about the new policy that tries to explain why the company wants to start collecting more data. "You will not be able to opt out from this data collection, sharing and/or processing." Functional data, for example, includes the data collected when you register Sonos equipment; if you want it to work, you must register. 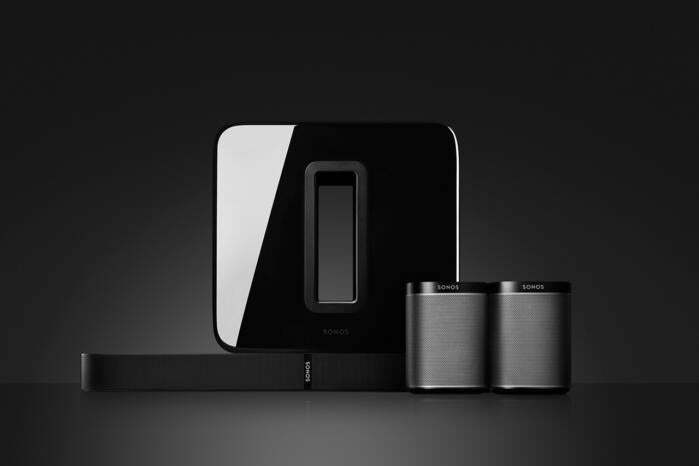 Sonos collects your name, phone number, email address, location data, your Sonos account password, passwords hints, IP address, language preference and product serial number. This data includes things like Product type, controller device type, operating system of controller, software version information, content source (audio line in), signal input (for example, whether your TV outputs a specific audio signal such as Dolby to your Sonos system), information about Wi-Fi antennas, audio settings (such as equalization or stereo pair), Product orientation, room names you have assigned to your Sonos Product, whether your product has been tuned using Sonos Trueplay technology, and error information. Dammit, Sonos, your speakers are not cheap, but this do-it-or-else move — after users have dropped big bucks for a Sonos system — is cheap. The plan to collect more data on users without the ability to opt out worked out so well for Plex; users revolted, planning to give up the service, then Plex made some changes. Is that IoT device worth the risk? A service, however, is not the same as devices we bring into the privacy of our homes in order to make them more convenient or “smart.” IoT devices have notoriously bad security, so users first must decide if the risk is worth the reward. Hopefully that includes checking out the permissions in the accompanying app; a product can sound good until you see the overreaching permissions it requires. An even bigger trend than companies changing privacy policies with no opt-out is users being forced to accept new permissions in smart device apps. A device, or even service, may work fine without needing access to camera and microphone (and/or contacts, location, etc. ), but don’t be surprised when those permissions are added. No, you don’t have to accept, but if it is a smart device, you won’t get access to updated firmware — often closing security vulnerabilities — without accepting the permissions for the updated app. As for the change Sonos is making, it comes down to deciding if I want my home theater experience, as well as speakers for music, to slowly degrade. I have eight Sonos speakers, which was a big investment for me. And I’m not even a tiny bit happy that if I want to voice-control music via all those Sonos speakers, via Alexa and her many microphones which was a gift, then I have to agree to changes affecting my privacy that came after I spend so much on Sonos.